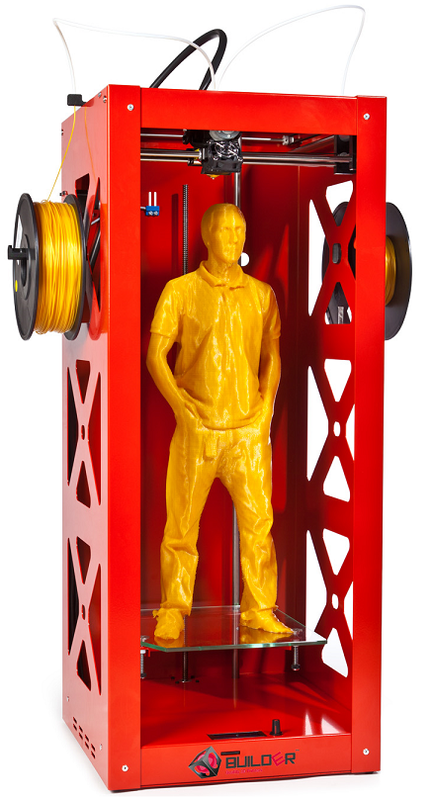 Our two favourite 3D printers that were launched this week: the Big Builder takes consumer additive manufacturing to new heights and OpenKnit continues 2014’s hottest trend: 3D printed clothes. You may remember Builder 3D Printers. 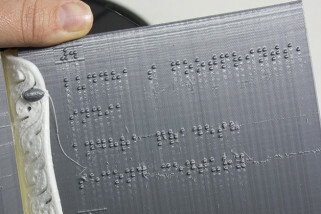 A Dutch firm, it grabbed headlines last year with its excellent Builder desktop device and the Dual Feed system that it exhibited at the last London 3D Print Show. This week, it has launched a very interesting consumer model that offers a unique specification to the mix, with a huge Z-axis that allows consumer-level users to take their creations to new heights. 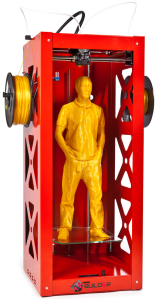 The Big Builder’s build envelope stands at 220 x 210 x 665 mm (L x W x H), meaning your prints can stand as high as 26 inches and giving you a whooping 30 litre build volume in total. Like the Builder before it, it boasts a tasty looking sleek powder coated steel frame and makes use of the company’s unique Dual-Feed system, which allows you to print two colours at once. Yet it is not just height that makes the Big Builder an interesting prospect. The layer resolution is extremely fine, all the way to 0.05mm – 0.35mm at maximum, while the removable glass plate print bed, SD card slot and controller unit maximises convenience for the user. 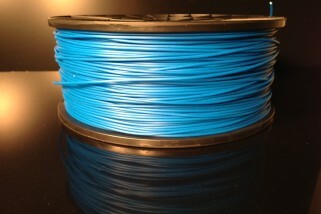 It prints in 1.75mm PLA/ ABS or PVA. Considering all of that, the €2,495 price tag looks pretty affordable. 3D printed clothes are very much in this season. Since the beginning of the year, we’ve had lots of stories of both outfits manufactured on 3D printers and 3D printers designed to manufacture outfits. The OpenKnit is a project that fits into the latter of those categories. The brainchild of Gerard Rubio, it utilises Knitic software and open sourced hardware to allow users to fabricate their own digitally designed woollen clothes at the push of a button. The OpenKnit itself composes 3D printed parts plus sensors, knitting needles, a stepper motor, a servomotor and aluminium extrusion. 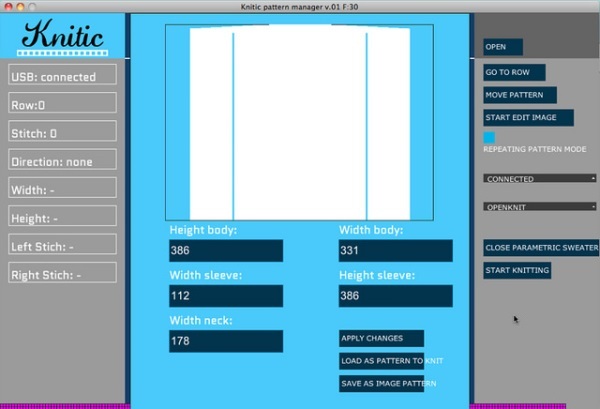 The Knitic software allows you to, very simply, design and personalise your items before communicating them to the hardware for printing.